The Wall Dial shown has been designed for a south facing wall but can be made for buildings other than south facing. It is made of solid brass with a slightly weathered patina. 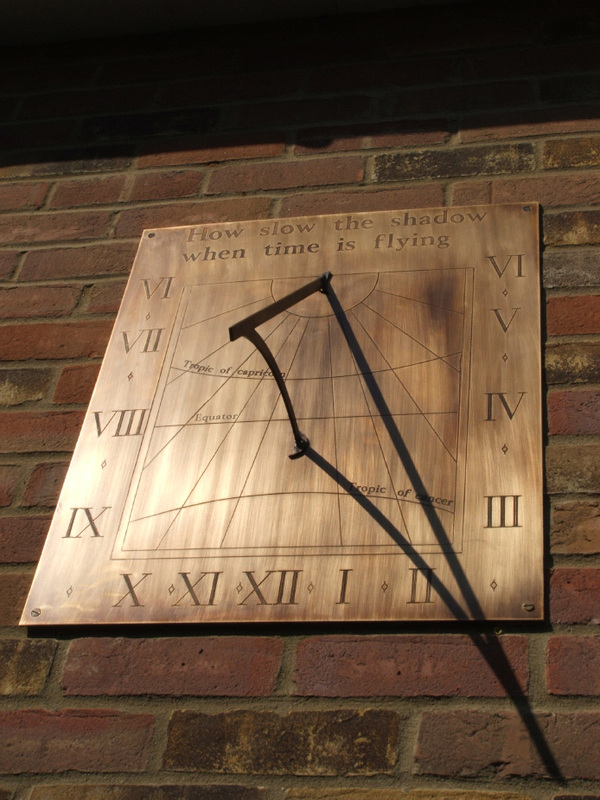 The inscription at the top of the sundial can be replaced with your own. Please contact us for more information on inscription suggestions, layout and cost etc.